The Short Version: Founded by a Jewish single for Jewish singles, SuperTova is an authentic, trustworthy, and free niche dating site. Justin Corsa built and maintains the website as a side project because he wants to help Jewish people date and marry one another, and thus preserve the Jewish culture for future generations. 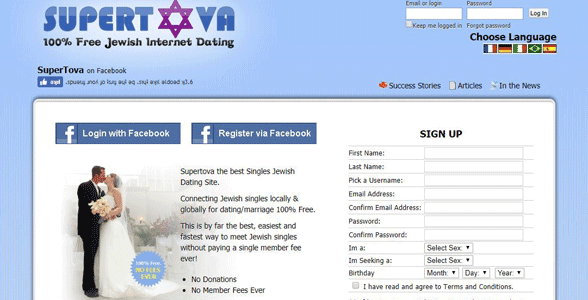 SuperTova’s mission is to unite the Jewish dating population worldwide. Currently, more than 30,000 active members use the dating platform to browse, flirt, and chat with men and women of similar cultural backgrounds. Whether you’re a practicing orthodox Jew, a reformist, a conservative, or just plain Jewish, you can sign up to SuperTova to find your bashert in a welcoming and diverse online community. When New Yorker Justin Corsa moved to Wake Forest, North Carolina, for his job, his dating life took a hit. In the past, he’d had a good experience as a member of predominantly Jewish dating site; however, once he moved to a smaller dating pool, all that changed. SuperTova Founder Justin Corsa maintains an active dating profile on his own niche site. In areas where there’s a large Jewish population, a niche dating site (like the one Justin tried) can provide a suitable dating environment with lots of options. But in smaller cities, the singles network falls short and so may try to entice users with fake or inactive profiles. It’s a classic bait-and-switch. After finding most members to be unresponsive, Justin canceled his subscription but couldn’t get his money back for the month. 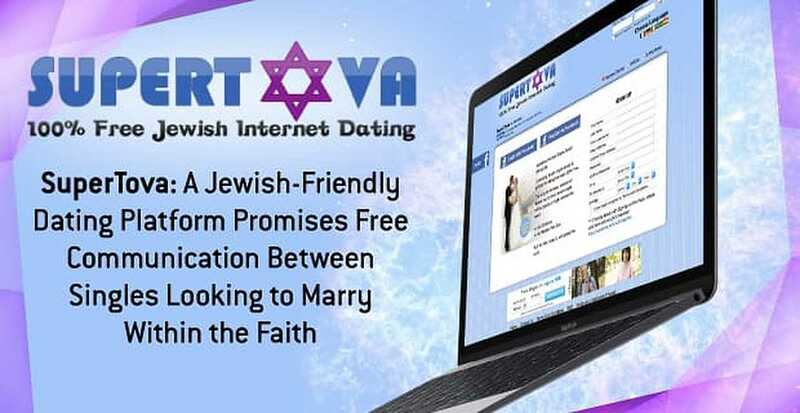 In his spare time, Justin created a free Jewish dating site and named it SuperTova after the Hebrew word for good deed. Today, the website offers thousands of Jewish singles the opportunity to meet, match, and marry without paying any subscription fees. It’s a legitimate and trustworthy space intended to uphold Jewish values and cultural integrity for daters around the world. Justin is a mensch working to solve a common dating frustration by building a popular, free, and transparent dating platform for the Jewish people. He applies his marketing, finance, and management experience to grow SuperTova’s community as a passion project on the side of his full-time career. He and his server administrator run the site largely on their own. They invest their time and finances in SuperTova because they believe, fundamentally, in keeping Jewish traditions and culture alive through marriages within the Jewish faith. SuperTova prioritizes authenticity and community-building to make the dating site successful. The Jewish singles platform cultivates an active membership base made up of real people looking for a genuine relationship. Spam activity is not tolerated, and inauthentic users are removed to keep the level of discourse polite and welcoming for Jewish daters. Altogether, SuperTova has a database of more than 50,000 members, but Justin chooses to highlight the 30,000 active users who have completed their profiles and subscribed to the mailing list. Those singles are so engaged on the site, presumably, because they are serious about dating within the Jewish faith. Justin personally examines a majority of SuperTova’s new members to ensure every profile is real. Many people post comments and make suggestions in this open forum. It gives singles a low-pressure way to engage with one another in a public and friendly space. The newsfeed links Jewish singles all over the world by giving them a way to share their thoughts and experiences with the SuperTova community. If you want to start a conversation on SuperTova, you can visit the forum, enter the chat room, or send an instant message. On SuperTova, users have multiple ways to connect and build a relationship online. Plus, advanced search filters help narrow down the search for a person in the same area or someone willing to relocate. As you select your partner’s preferred physical or personal attributes, the search results will automatically show local matches and profiles of people willing to relocate for the right person. “I love that feature,” Justin said, “because I’ve always been big on the idea of having a broad-spectrum approach when it comes to relocating for the right person.” Justin hopes his site’s connective features help members overcome the distance between them and make lasting bonds so they can further the Jewish legacy. SuperTova unites the Jewish community in a global dating network. Many users found someone special living in another city, state, or even country and then got married. According to Justin, long-distance relationships can be worth the added effort because they open singles up to more dating possibilities and experiences. He encourages members not to restrict themselves to only dating people within a 25-mile radius. That strategy helped Edmundo, who lives in Mexico, find his future wife, Beth, who is from South Africa. “Meeting Edmundo felt like meeting someone I’d known forever,” wrote Beth in a testimonial. In 2013, at the departure gate at JFK airport, Edmundo asked his long-distance love to be his bride. After meeting on SuperTova, Suzie and David became very close despite living miles apart. This isn’t the only love story begun on SuperTova. “I am so lucky to have found him,” said Suzie, a SuperTova member from Pittsburgh, “and can’t wait to start our life together and be in the same city for more than five days at a time!” She met her future husband on the dating site, and he soon relocated from New Jersey to be with her. They got engaged in 2010 and married in 2011. The many success stories inspire Justin to keep working to grow his site’s membership and improve the user’s experience as best he can. 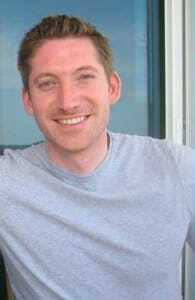 He takes the mission of the site very seriously and wants to do right by the Jewish singles who come to SuperTova looking for love. “So many people, just like Edmundo and Beth, found each other on SuperTova, despite living in different countries, and developed an online relationship,” Justin said. “This happens very often, and it works. After getting fed up with disingenuous dating websites, Justin decided to build something better. Today, SuperTova is a popular and authentic dating platform for Jewish singles to meet one another. No matter where you live, you can sign up and connect with an active community of over 30,000 Jews. SuperTova has exploded in popularity because of the site’s values-centric approach and straightforward social tools. In the coming years, Justin said his focus is on continuing to grow the site’s membership base by spreading the word about his free dating network to single Jews everywhere. Justin feels so passionately about keeping the Jewish culture alive that he labors on SuperTova on weekends and in his off hours just to do a good deed. He understands the struggles Jewish singles can face online and wants to decrease the frustration and cost of finding a committed partner with the same cultural values and background.